The Syrian Army launched on June 3 a large-scale offensive to liberate the city of Raqqa, the de-facto capital of the Daesh caliphate. 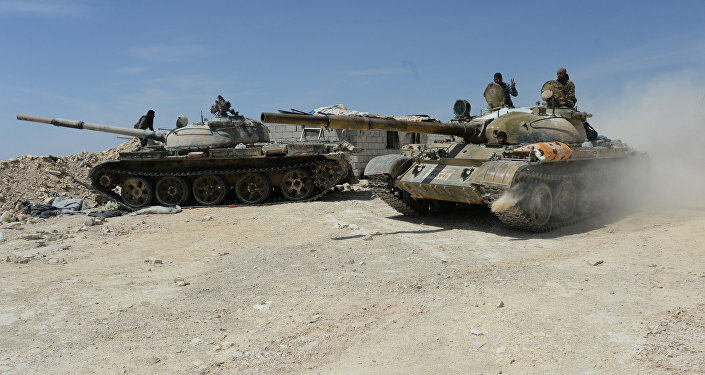 Retired Syrian Major General Sabet Muhammad told the Russian newspaper Izvestia that the operation started from the town of Isriya, in Hama province, nearly 140 km to the west from Raqqa. "The operation was prepared for many days. Several thousands of troops were deployed to Isriya. The forces have several interim objectives, including the town of Al-Thawrah, a military airfield as well as the town of Resapha. These positions will be used for an assault on Raqqa," he said. According to the general, after the army regains control over Raqqa the Daesh-controlled area will be split. Terrorists in Deir ez-Zor will be cut off from supply lines. Since the operation began the Syrian Army has breached the first Daesh defense line near the Abu Zein mount range and advanced for 15-20 km. The advance was backed by Russian airstrikes. In February and March, the Syrian Army made an attempt to carry out an attack on Raqqa. 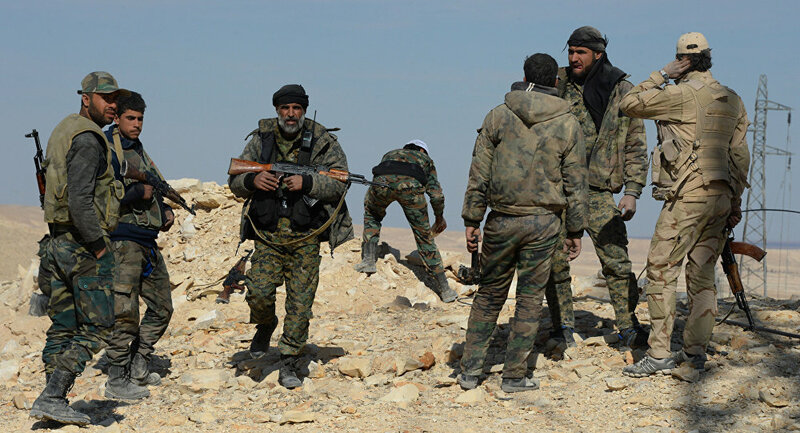 After a series of clashes with militants the attack was suspended and the Syrian Army began their offensive on Palmyra. However, after the ancient city was liberated commanders of the Syrian Army and Russian military advisers were at odds over the next goal, the Lebanese newspapers Al Akhbar reported. Russian military advisers insisted on an assault to the east from Palmyra, on the besieged city of Deir ez-Zor. At the same time, Damascus backed by Tehran said that liberation of Deir ez-Zor would require too many troops and urged to focus on Aleppo. At the same time, on May 24, the Syrian Kurdish Forces (SDF) announced an operation to liberate Raqqa, from the north and north-east. They were assisted by a US-led international coalition. Over the recent days, Kurdish forces have managed to liberate from terrorists several towns and villages. Raqqa will become a part of the Federal Democratic System of Rojava and Northern Syria following its liberation from Daesh terrorists, a representative of the Syrian Kurdish Democratic Union Party (PYD) in Iraqi Kurdistan, Gharib Hassou told RIA Novosti on May 26. "Since the assault on Raqqa is carried out by the SDF, it makes sense that after its recapture, the city will become a part of the democratic federal system created by us in northern Syria," Hassou said. In this context, many commentators have said that the operation by the Syrian Army has started a "race,” with Raqqa as the main prize. Muhammad underscored that it was no coincidence that the army has launched its operation at the present moment. "Over the past several days, the SDF supported by the US have taken control over six villages and farms near the town of Ayn Issa, 55 km to the north from Raqqa. However, then they turned to the west to liberate from terrorists the town of Manbij," he said. He also underscored that the Syrian government will not let any of the warring parties raise their flags in Raqqa and other Syrian towns. Damascus will seek to restore government control over them. Currently, Damascus and Kurdish forces are fighting against the common enemy. If the Kurds finally liberate Raqqa they will not be interested in military confrontation with the Syrian Army, Yury Zinin, a senior fellow at the Moscow State Institute of International Relations (MGIMO), told Izvestia. "After Syria is liberated from terrorists Kurds will seek ways to agree with Damascus. Without support from the government, Kurds will be surrounded by enemies. At the same time, Damascus is ready for a compromise with Kurds and will take their interests into account," Zinin said.